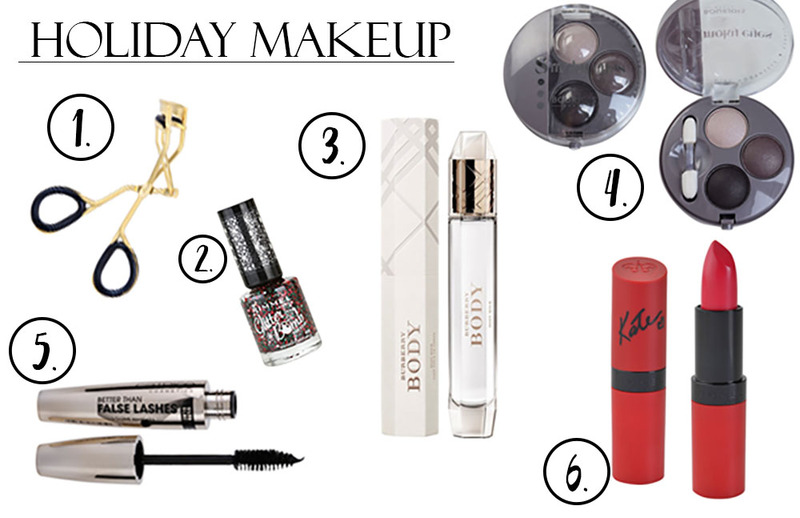 Tis the season to be jolly - and this can spread to your makeup routine as well! Perhaps you've discovered a love for beauty products like I have in recent years and want to perk up your vanity table for the holidays. Or you know somebody who's like this. I know I do! I decided to create this collage after browsing through Beautyspin, an online store carrying over 20,000 original brands at discounted prices! Because the bigger the better, right? I would love to add a coat of this to some festive bright red nails! To treat that dry, wintery skin, what more luxurious way to do that than with a body milk? Smoky eyes are all the rage during holiday season, but it's fun to add a hint of color in the mix to help you stand out. Try this eyeshadow quad with a hint of deep purple to vamp up your look! After you've curled your lashes, might as well finish them off with a coat or two of some bold mascara. I don't know about you, but once the temperature dips and the nights become longer, I can't stop wearing bold lipsticks - and a classic deep red shade will never lead you wrong! Beauty stuff is always the perfect last minute gift! the rimmel lipstick is always a good idea! I love the entire collection! Nail polish and lipstick--you can never go wrong with either of those. Okay, okay, makeup in general. I bought some glittery lipgloss the other day and have painted my nails a shimmery opal color in lieu of the holiday season. Love! Good post, although, as you probably know, I don't use much make-up. Rimmel lipstick is really good!